Topiaries is a unique shopping experience, full of ideas and treasures, established in 1993. We have built our clientelle by superior service, love of the business and exceptional products from around the world. Upon entering Topiaries you get a feeling of comfort with quiet fountains, fun music soft fragrance from Lampe Berger, and ever changing creative displays, and fabulous florals. Topiaries carries hundreds of different lines, many that have landed on Oprahs famous "O" list, such as Votivo, and much more. Sharon Ballance, the new owner of Topiaries, is honored to continue serving local patrons who have been inspired since 1993 by the creative ideas and treasures of Topiaries founder, Gail Arnold. 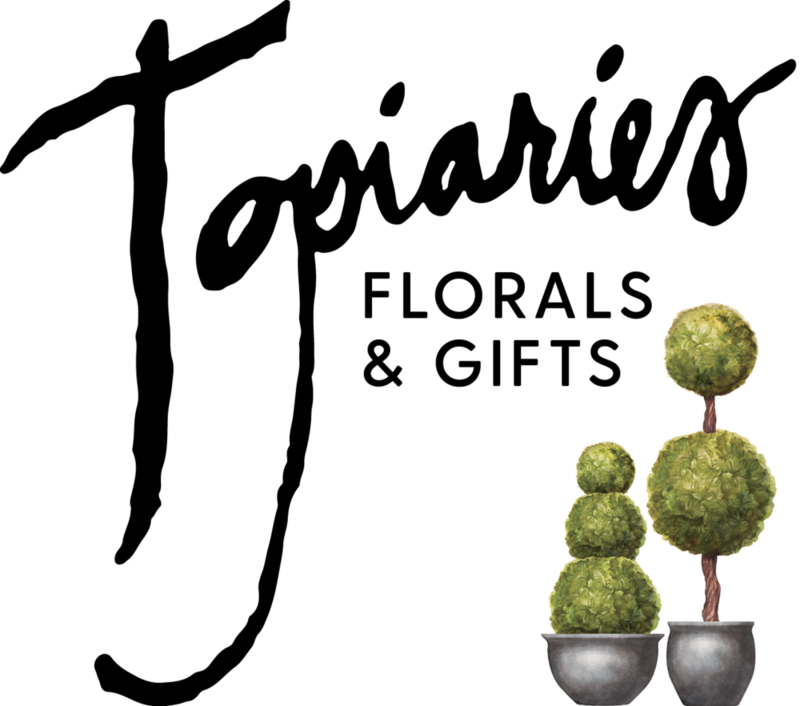 Topiaries was established in 1993 by Gail Arnold, a graduate of the prestigious Hixson School of Floral Design and a nationally recognized award winning floral designer. Gail turned her passion and talent in to successful businesses combining a floral background of 36 years from New York to California with an impressive client list, including J.P. Morgan (Manhattan), John Hancock (Boston), and over 2,000 weddings. In 2013, Gail ended her courageous battle with lung cancer. Her infectious smile and love for life is missed by her family and friends. She was a bright light so full of energy, her light will continue to burn bright through her family and friends that loved her dearly. A selection of Gail's accomplishments with Topiaries can be seen through the articles and testimonials featured on this site.